Mixed 40-voice choir – SATB – based in Brockville is seeking a new director to start in Fall 2017. Repertoire over 31 years has included classical works, Broadway and Canadiana, accompanied by piano, organ, small pit band and orchestra, as appropriate to the music. This paid position involves directing rehearsals in a church sanctuary on Wednesday evenings 7-9 pm. Two concerts are performed annually, one in late November or early December, and one in May or June. Other short performances may also take place in schools and nursing homes. 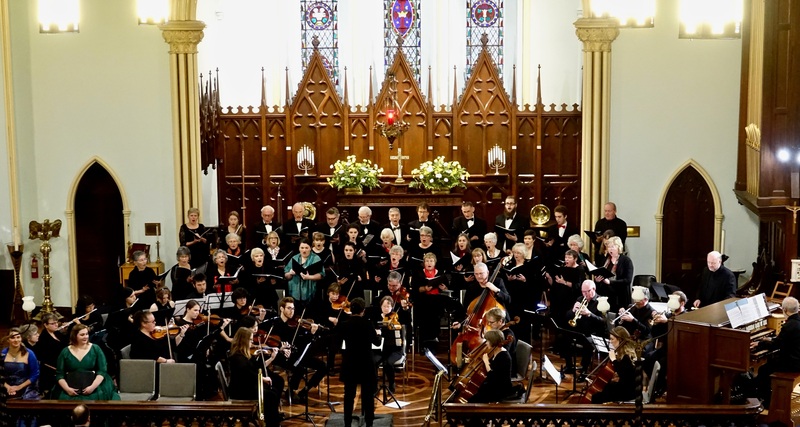 The choir seeks a director with experience in vocal education and conducting. See http://www.brockvillechoir.com for history of the choir. Please respond in writing with enquiry and résumé to Myfanwy Jenkins muvj@mac.com before March 31. All replies will be kept confidential. The Brockville Community Choir is a group of vocalists dedicated to performing classical concerts in Brockville and the surrounding area. It seeks to engage young people in the art of singing, and to enhance the quality of the community’s cultural life.